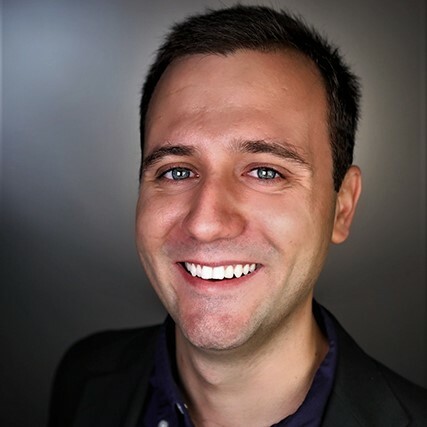 Current automation and soft robotic arms use a collection of cameras and sensors to grab and identify inventory objects in manufacturing as well as distribution centers. However, due to sensing limitations, these systems may not be able to classify objects based on features such as compliance, texture and shape. In this project we explore a new and exciting avenue to classify gripped objects via compliance, curvature and pressure data from embedded sensors in combination with machine learning algorithms. We introduce a soft pneumatic actuator that is able to conform to a desired objects shape and size while continuously providing sensor data from multiple force sensors, curvature sensors and fluid pressure sensors. By acquiring data for multiple pre-classified objects, we develop a training database that is used in generative classification machine learning model. Using the model, we are than able to predict the classification new objects. Furthermore, we validate our model by testing a set of objects for which the classes are known and use similar untrained items to understand the limitations of the model and machinery. We demonstrate both numerically and experimentally that geometric frustration in two-dimensional periodic acoustic networks consisting of arrays of narrow air channels can be harnessed to form band gaps (ranges of frequency in which the waves cannot propagate in any direction through the system). While resonant standing wave modes and interferences are ubiquitous in all the analyzed network geometries, we show that they give rise to band gaps only in the geometrically frustrated ones (i.e. those comprising of triangles and pentagons). Our results not only reveal a new mechanism based on geometric frustration to suppress the propagation of pressure waves in specific frequency ranges, but also opens avenues for the design of a new generation of smart systems that control and manipulate sound and vibrations. Along the base of glaciers and ice sheets, the sliding of ice over till depends critically on water drainage. In locations where drainage occurs through Röthlisberger channels, the effective pressure along the base of the ice increases and can lead to a strengthening of the bed, which reduces glacier sliding. The formation of Röthlisberger channels depends on two competing effects: (1) melting from turbulent dissipation opens the channel walls and (2) creep flow driven by the weight of the overlying ice closes the channels radially inward. Variation in downstream ice velocity along the channel axis, referred to as an antiplane shear strain rate, decreases the effective viscosity. This softening of the ice increases creep closure velocities. In this way, even a modest addition of antiplane shear can double the size of the Röthlisberger channels for a fixed water pressure or allow channels of a fixed radius to operate at lower effective pressure, potentially decreasing the strength of the surrounding bed. Furthermore, we show that Röthlisberger channels can be deformed away from a circular cross section under applied antiplane shear. 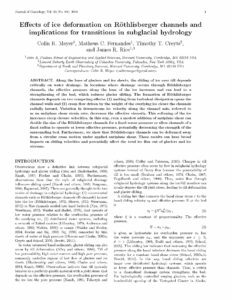 These results can have broad impacts on sliding velocities and potentially affect the total ice flux out of glaciers and ice streams. A 2008 report by Das et al. documented the rapid drainage during summer 2006 of a supraglacial lake, of approximately , into the Greenland ice sheet over a time scale moderately longer than 1 hr. The lake had been instrumented to record the time-dependent fall of water level and the uplift of the ice nearby. Liquid water, denser than ice, was presumed to have descended through the sheet along a crevasse system and spread along the bed as a hydraulic facture. The event led two of the present authors to initiate modeling studies on such natural hydraulic fractures. Building on results of those studies, we attempt to better explain the time evolution of such a drainage event. We find that the estimated time has a strong dependence on how much a pre-existing crack/crevasse system, acting as a feeder channel to the bed, has opened by slow creep prior to the time at which a basal hydraulic fracture nucleates. We quantify the process and identify appropriate parameter ranges, particularly of the average temperature of the ice beneath the lake (important for the slow creep opening of the crevasse). We show that average ice temperatures 5–7 below melting allow such rapid drainage on a time scale which agrees well with the 2006 observations. Ice-stream margins in West Antarctica form from the transition between fast-flowing and stagnant ice. 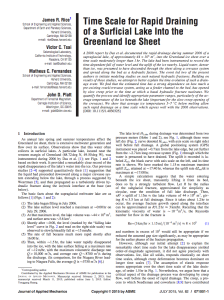 Observations and modelling studies suggest that intense lateral deformation of ice at the margins generates internal meltwater within the ice sheet. Röthlisberger channels (R-channels) may form in which water flows in the downstream direction along the margin. Standard theory argues that the steady-state channel diameter comes from the balance of in-plane creeping and melting rates. However, at the margin, large shear strains acting in the direction parallel to their cross-sectional axis (in the anti-plane direction) can develop. In view of understanding how R-channels evolve within ice streams, we construct a finite-element model (FEM) of an R-channel as considered by Nye (1953) with superimposed anti-plane shear stresses applied along the bed of the ice sheet on the boundary outside of the channel. This is similar to the model presented by Weertman (1972) to describe R-channels formed at the base of mountain glaciers. Weertman’s analysis suggested that the presence of large anti-plane shear stresses, as compared with in-plane stresses, makes the in-plane flow law effectively linear viscous (pseudo-Newtonian). Using our FEM, we examine the limitations of Weertman’s solution as well as when his linear viscous model may be adequate. Furthermore, we examine the effects of shear stresses acting transverse to the channel axis as a result of the interlocking of the bed and the ice. This, as pointed out by Weertman, will change the in-plane solution from being axisymmetric; ultimately making the assumption of a Nye solution near the bed invalid. In addition, we attempt to modify the basal boundary conditions to incorporate the hydrological model proposed by Perol and others (2014), where the basal shear stress varies as a function of the distance from the channel. Ultimately, this makes a comprehensive model for R-channels with anti-plane shear stress hypothesized to exist in ice-stream shear margins and mountain glaciers. 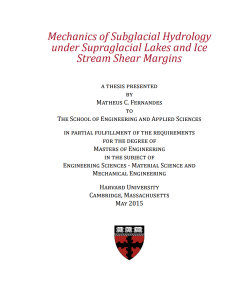 This thesis is broken down into two parts, both of which are focused on the mechanics of subglacial hydrology. 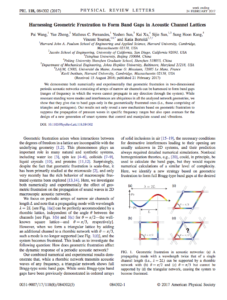 The first part describes the opening behavior of a crack under a supraglacial lake, where a Finite Element Method model is presented to obtain the opening profile of a crack undergoing hydrostatic tension in an infinite power law creep material. The second part focuses on creating a numerical model for the opening diameter of Röthlisberger channels in ice stream shear margins, where antiplane strain rates are superimposed on in-plane stresses. 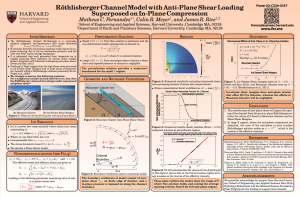 The Röthlisberger channel (R-channel) is a commonly adopted model that balances creep closure by Nye 2D in-plane straining, driven by the ice overburden pressure, against the melt rate from viscous energy dissipation in turbulent flow within the channel. Perol and Rice (AGU abstr. C11B- 0677, 2011; JGR 2014 in review) and Suckale et al. (JGR F003008, 2014) have conjectured that these R-channels may exist at the beds of rapidly straining West Antarctic Ice Stream shear margins. That is expected as a result of melt generation and drainage from forming temperate ice, and the channels may interact through the bed hydrology to partially stabilize the shear margin against lateral expansion. However, at those locations the overburden stresses, driving in-plane flow, are supplemented by substantial anti-plane shear stresses. Similarly, R-channels in mountain glaciers are also subject to both in-plane and anti-plane stresses. These channels usually form in the downstream direction, where anti-plane shear effects arise horizontally from drag at lateral moraines and vertically from the downslope gravity component. Here we examine how superposed anti-plane loading can alter results of the Nye solution for a 2D R channel. We use a combination of perturbation analyses and finite element methods, varying the amount of applied anti-plane stress. A closed-form solution is derived for imposing a small anti-plane perturbation, which has no effect at linear order on the Nye closure rate. Such effects become strong at more substantial perturbations, and the in plane stress and strain fields are then significantly altered from the Nye solution. We further extend our model to compute channel size in terms of the external stressing and flow rate. Understanding the effect of the ice flow on channel size and formation is important to subglacial hydrology, as well as a potentially vital component for our understanding of the formation and motion of ice-streams found in West Antarctica. 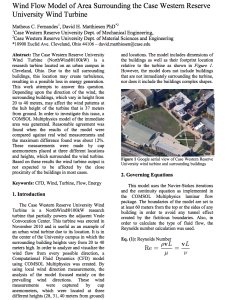 The CWRU Turbine is a research turbine located in a urban campus in Cleveland, Ohio. This location may create turbulence, resulting in a possible loss in energy generation. 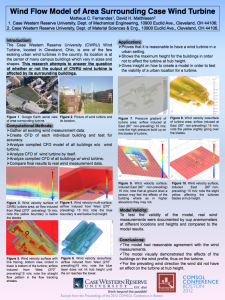 This research attempts to answers the question of whether the wind flow is affected by the buildings or not. The surrounding buildings, which vary in height from 20 to 40 meters, may affect the wind patterns at the hub height. In order to investigate this issue, a CFD model of the immediate area was generated. The analysis using a CFD model includes prevailing wind directions and analyzes the outcomes of the wind flow pattern around the turbine. Reasonable agreement was found when the model was tested and compared against real wind measurements. With the pursuit of understanding the torque on the shaft applied by the wind force on the blades, a torque measuring device was implemented to the turbine. This device is composed of two perpendicular strain gauges that measure continuous strain on the shaft. The orientation of the strain gauges gives measurement data on the torque as well as the RPM of the shaft. From these measurements we found a reverse torque phenomenon on the shaft when an emergency stop (e-stop) or the generator switches from low generation to high generation. This project uses wind data, and torque measurements data to analyze the effects created by the reverse torques on the shaft. This is a preliminary analysis to validate the need for a torque limiting device to be installed on the shaft. The device was designed to attach directly to the shaft as well as to withstand the brutal weather conditions that may occur in the nacelle.